This is quite comfortable to use and is designed for the convinience of the users for the daily purpose in the kitchen. It is also helpful for the moms and wives who has to handle their home and office work at the same time. It assures fresh and healthy preservation of the food as your health is our first priority. 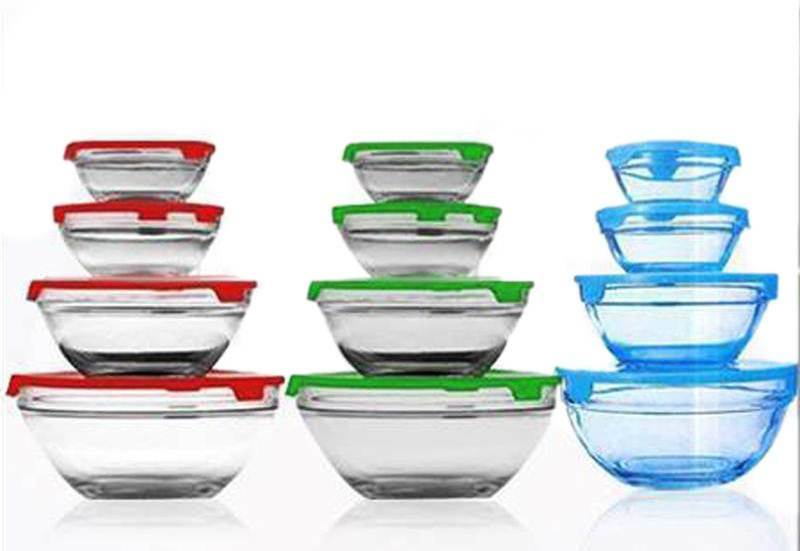 Clear plain glass storage bowls are ideal for making it clear to identify contents immediately. Perfect for storing leftovers, mixing things or preparing your delicious dips curries, pasta dishes, casseroles etc. Bowls which sizes range from 150ml, 225ml , 550m and 1000ml.